Riot police in the French port town of Calais have begun expelling people living in migrant camps there, many of them Syrian asylum seekers. 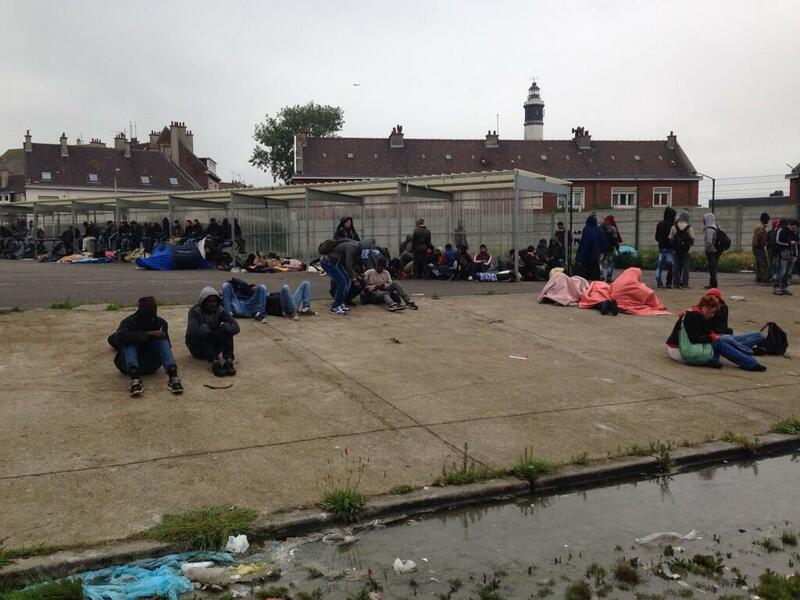 French authorities have said the camps must be cleared to shut down an outbreak of scabies. Approximately 800 migrants are living in the camps near the port, hoping to reach the United Kingdom across the English Channel, according to Human Rights Watch. Migrant representatives have said they will have nowhere to go if the camps are destroyed. This is just the latest hopeless situation in what seem to be almost weekly tragedies involving migrants living in destitution in Southern Europe. In the weekend’s European parliamentary elections, far-right, largely anti-immigration parties prevailed across the continent, sending a clear message that populist policies, rather than humanitarian responsibilities, are top of the agenda for Europeans – or, at least, those who went out and voted. Voter turnout in the European elections is notoriously low. Yemen’s Torture Camps. Human Rights Watch reports about the abuse of migrants by human traffickers in a climate of impunity.